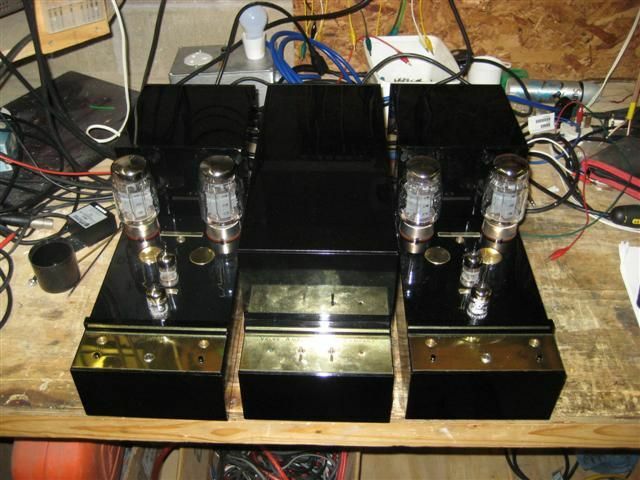 Truly Hi-Fi Valve monoblock amplifiers suffering from loose valves and poor quality octal valve bases. 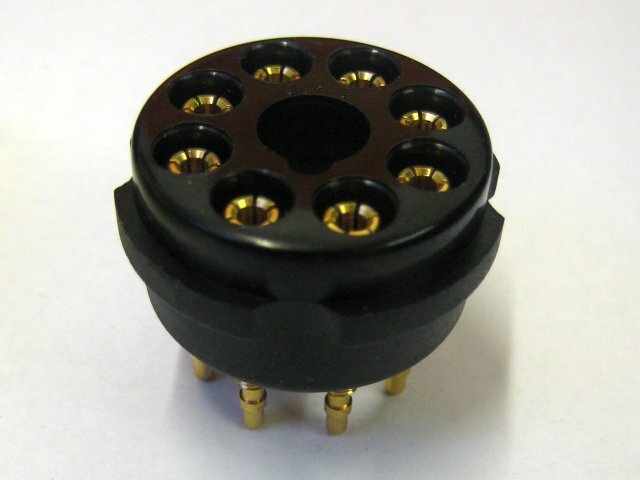 The customer insisted upon black replacement valve bases, but no suitable types were found that suited the desired connection quality. 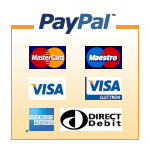 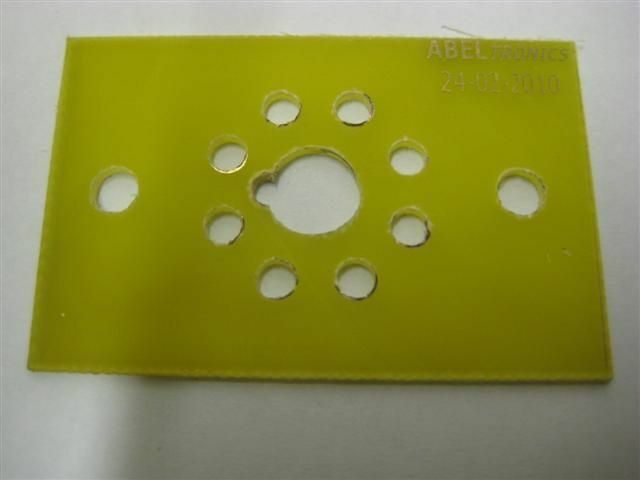 The customer came up with the idea, we used our ingenuity and came up with the implementation, and solved a difficult problem effectively and inexpensively. 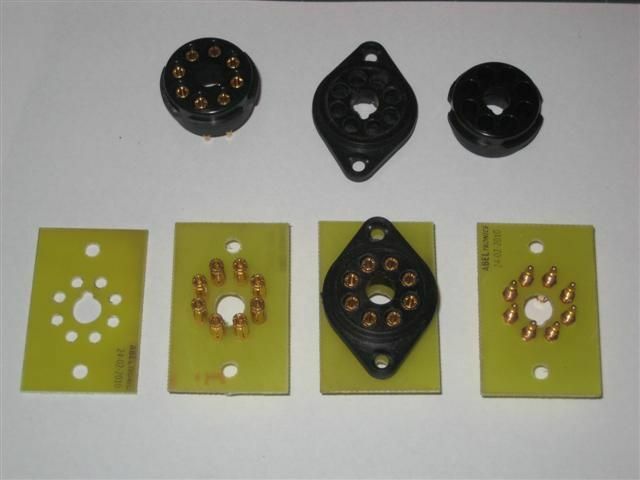 Relpaced output valve bases with better engineered types from Hifi Collective. 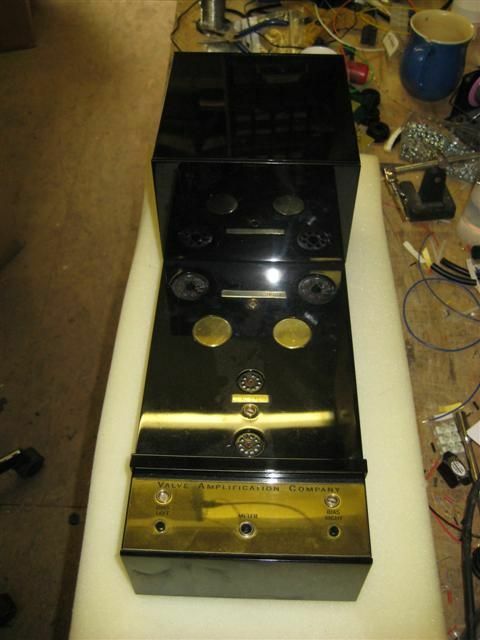 The customer specified and supplied black bases for aesthetic reasons, but they would not physically fit and could not be mounted properly due to the design of the amplifier. 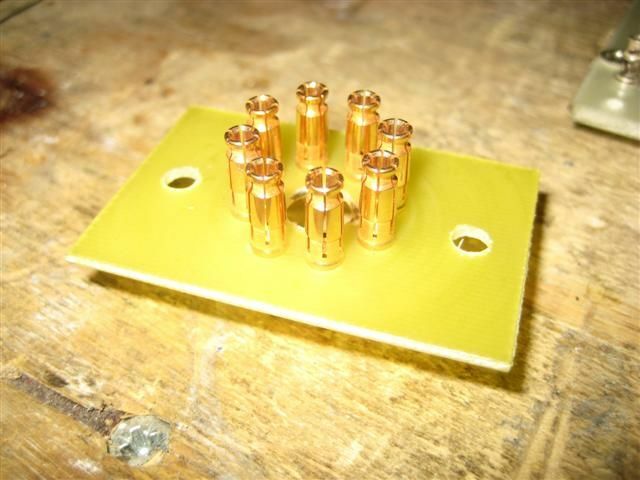 The pins on the new bases were so precisely engineered, rather than send them back to the supplier, we decided to use them to make our own bases! 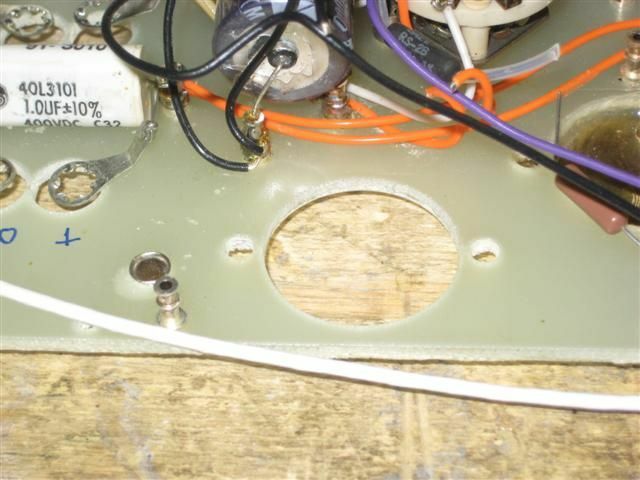 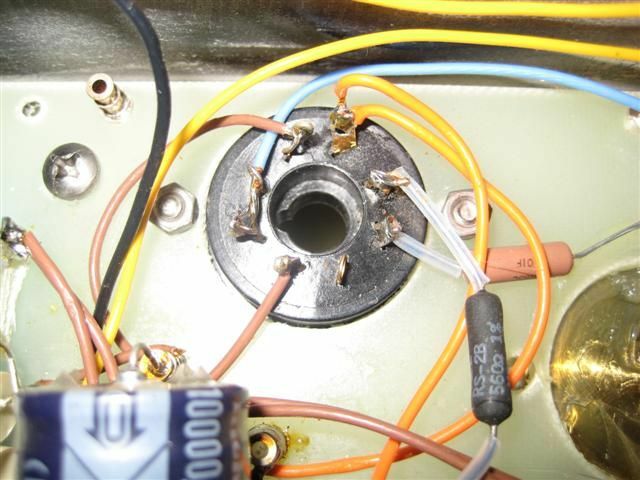 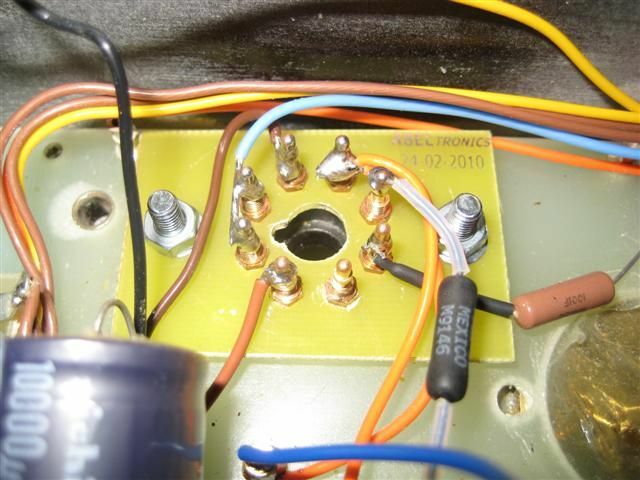 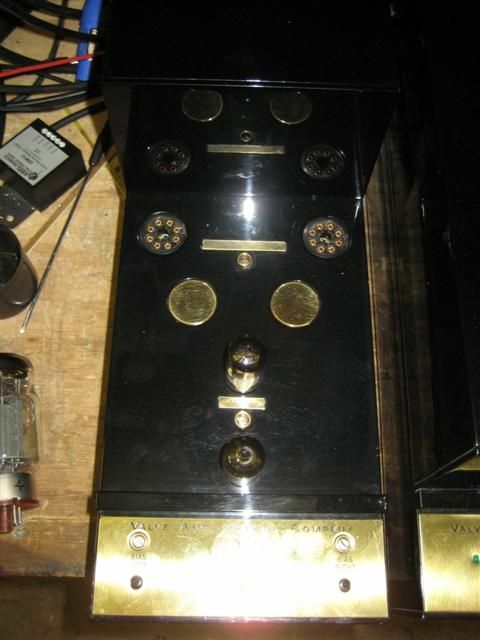 We manufactured new valve bases from high quality fibreglass PCB enabling a secure fixing to the amp chassis. 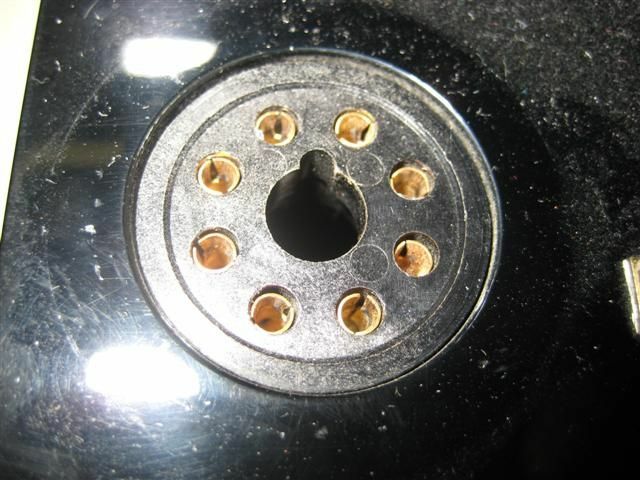 The 'old' bases were modified and used as pin separators. 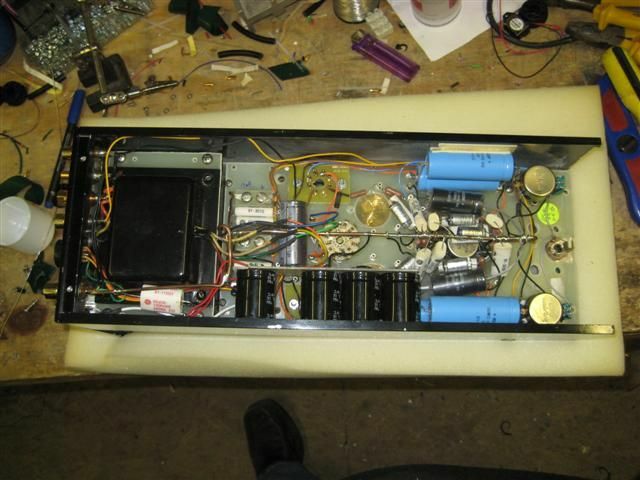 This also helped to keep the appearance the same, making the amp look original. 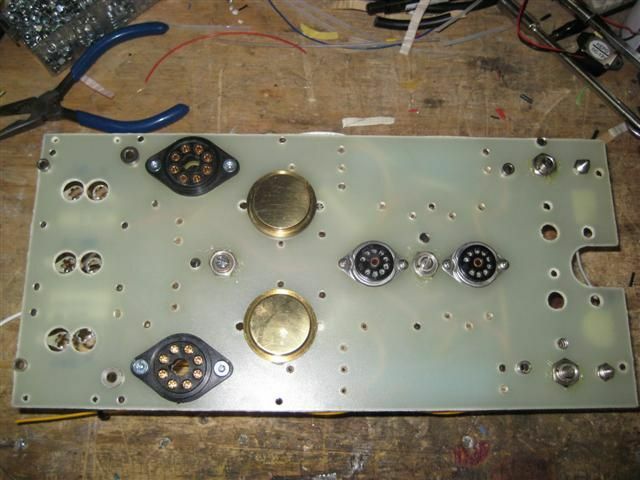 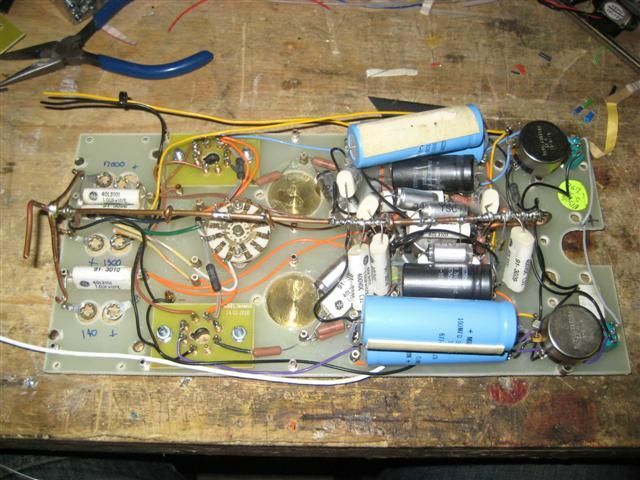 Our bases were fitted to the extremely complex, difficult-to-access, main amplifier board. 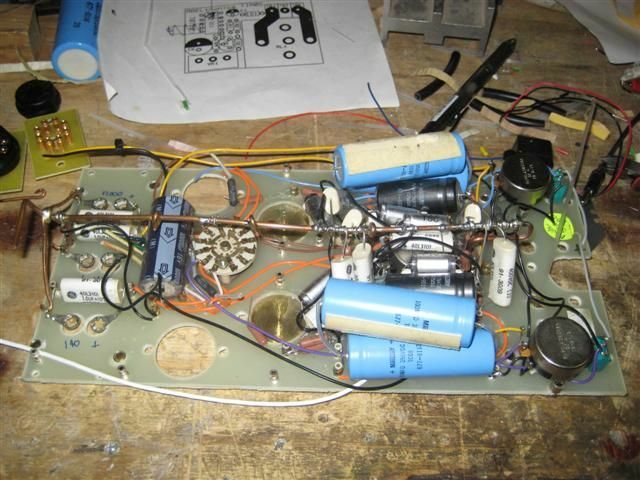 We re-biased the amplifier after a valve change, and it's still singing sweetly!